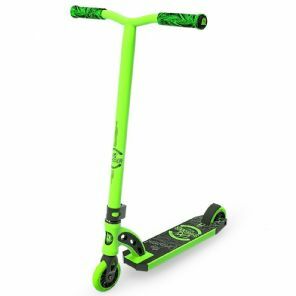 New to the Madd Gear scooter line up for 2018, is the VX8 Shredder scooter. The VX8 Shredder is based around the setup used by MGP UK Pro Rider Charley Dyson. This means you'll get a scooter fit for a pro, for a fraction of the price. MGP's VX8 Shredder caters to the younger rider that needs a smaller and lighter scooter to match their size. Modified in line with rider preferences, the Shredder scooter is about to be more popular than its predecessor!